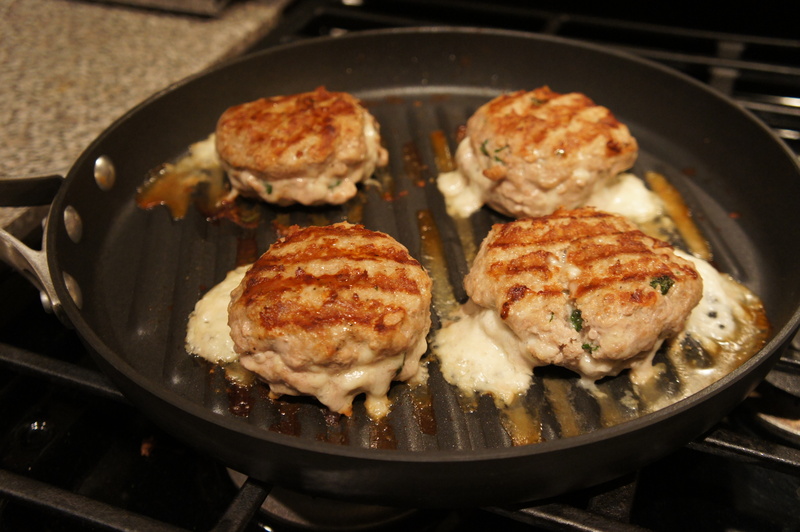 I’ve made this turkey burger recipe several times now and I love it. I’d never eaten a turkey burger before but my love of bruschetta is so strong I thought I could muster through. No mustering needed, I loved them! The mozzarella inside, bruschetta topping, and drizzle of balsamic create an easy and extremely delicious meal. The burger goes well with a side of spaghetti squash. The recipe comes from one of my favorite food blogs, Iowa Girl Eats. I’ve only tweaked the cooking of the burger. She also creates a balsamic glaze, but my first attempt at that turned into balsamic taffy. Oops. Now I just use some high-quality balsamic vinegar for a final drizzle. 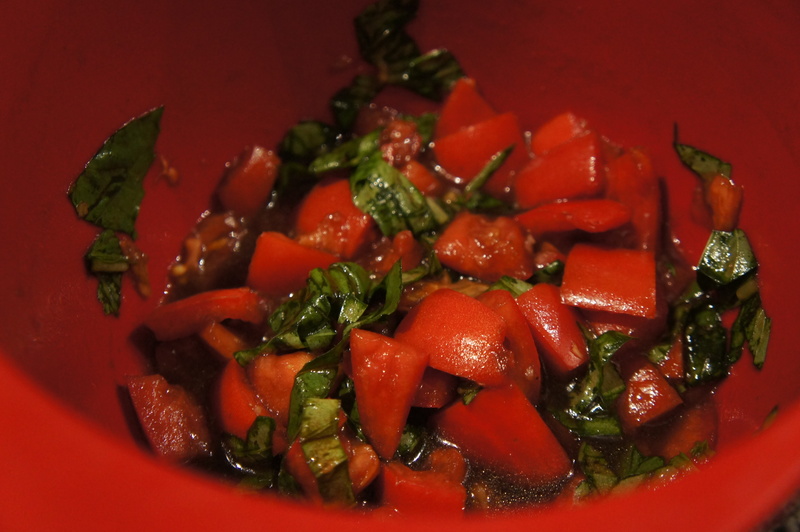 Combine bruschetta ingredients and refrigerate for at least 30 minutes. Preheat oven to 425. In a large bowl combine turkey, salt, pepper, dried basil, and parmesan cheese. Divide mixture into 8 portions. Line a peanut butter jar with foil, then plastic wrap and press 1 portion of the turkey mixture into the lid. Heap 1/4 cup mozzarella cheese into the middle, then top with another portion of turkey. Press down to seal, then invert the patty onto a plate. Continue until you have 4 burger patties. 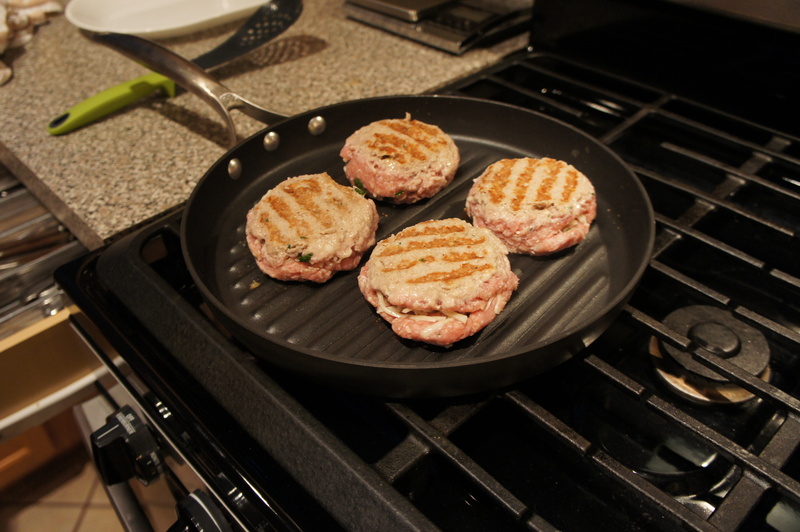 Grill burgers in a oven-proof skillet over medium-high heat, about 4 minutes per side to brown. Transfer skillet to oven and bake for 8 minutes, or until fully-cooked. 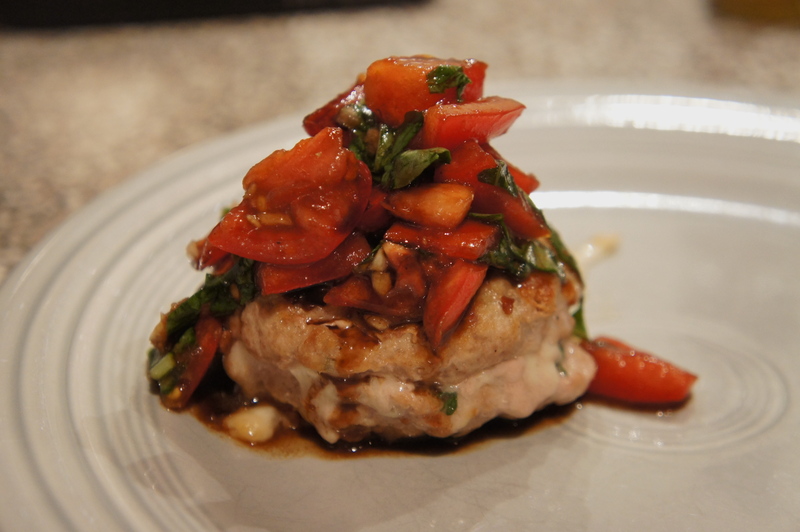 Top burgers with bruschetta mixture and drizzle with balsamic vinegar.